Each year, tons of metals are disposed of worldwide, with the US being the leading culprit, at about 540 pounds of metal waste per family per year . Europe, as a whole, is not far behind with a staggering 10,000,000 tons of metal waste per year, and each Australian produces close to 165 pounds of metal waste per year. This causes a large strain on the environment by creating larger amounts of trash in landfills, especially due to lack of biodegradability, and the carbon emissions from companies tasked with creating new metal. It is also a loss of potential income for individuals and businesses. Here are some tips on ways you can keep that old metal junk out of the landfill and turn it into some extra spending cash. The fastest and easiest way to earn a few extra dollars and help the environment is simply recycling all your old metal. As stated by TTrash skip hire, anything from old bikes to dead car batteries, even old metal computer parts can be recycled for cash. If you own a small business that primarily deals with metal, you know the cost of those unused scraps can really add up. Don’t pay a third party to clean out your old storage room and garage and then just dump it in a land fill. Instead, take it to a recycling facility and get paid for it. If you can’t take it yourself, many facilities will bring containers for you to put your old metals into and then pick them up when you’re ready. You’ll be helping your wallet and the environment at the same time. Another option for helping keep that metal out of the landfill is to turn it into something useful. Instead of throwing away that metal coffee can decorate it with some weather-proof paint and turn it into a planter or storage container for spare change or trinkets. You can also turn those old cans into jewelry boxes. Once again, paint the cans, or add beads and buttons, but this time drill a couple of holes and attach a few hooks to the outside, so necklaces can hang decoratively. Then add a few storage compartments on the inside using empty candy or throat lozenge cans. Not only will you gain a sense of accomplishment from creating something unique, but you can also sell them on Etsy or eBay for some extra cash. Make sure your buyers know they’re helping save the environment with their purchase and give them a few tips on how they can help the environment by recycling and reusing old junk metal. Small pieces of metal-worked art also makes great gifts. Just take old wire or smaller metal pieces, such as nuts and bolts, and turn them into jewelry like braided wire bracelets or earrings, just make sure to sterilize it first. There are many online resources you can use, and community classes you can take, to help get you started. You can easily turn those old computer components or any lids and old buttons into a decorative ornament or wind chime by drilling a few small holes and attaching some metal wire from a now defunct power cord. If you’re really handy and enjoy large do-it-yourself projects, take up large scale metalworking and sculpting. You can turn those old car parts and furniture pieces into works of art or lawn furnishings. Many trade schools and independent associations offer classes to help you learn the techniques and safety guidelines to turn those old metal fence posts into chairs and that old window screen or bucket into an outdoorsy side table. Help your fellow humans and the environment at the same time by donating your scrap metals to charity. Donations are a great way to divert that waste metal away from landfills and put it to a humanitarian use. 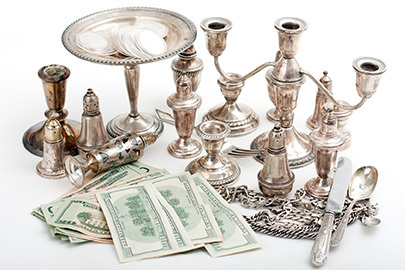 Many charities will accept scrap metals as a tax deductible donation. This is a great way to lower that end of the year tax bill, allowing you to keep extra money in your pocket, especially if you’re a small business owner. If there isn’t a charity in your area that accepts scrap metal, talk to your local recycling facility for recommendations. There are many ways to help the environment and yourself, or others, by reducing the amount of metal waste you create. Use these creative ideas to help you in your endeavor to help save the environment for future generations and put a little extra money in your wallet.